Chihiro is an unhappy girl moving to a new city with her parents. Along the way, they stumble across what looks to be an abandoned town. There they discover unattended food, and her parents start to eat it, deciding to repay the townsfolk later. Chihiro does not eat the food, instead opting to explore the town. She runs into a lone inhabitant, Haku. He tells her there is great danger. He is not lying, as she finds her parents have transformed into pig. The town is actually inhabited by demons, ghosts, witches and gods. Chihiro ends up working in the bath house in the town, cleaning up and starting to befriend the various creatures as she tries to figure out how to save her parents. 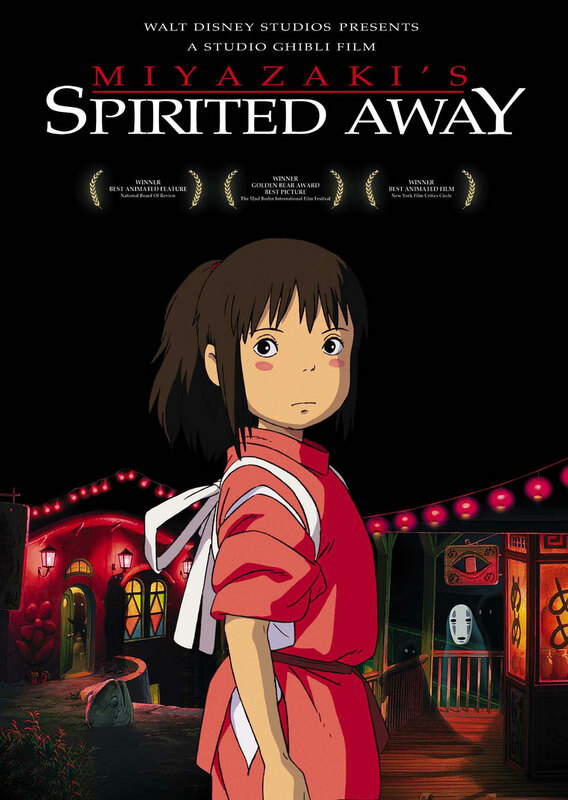 Spirited Away is a joyous adventure which takes Chihiro from a selfish child to a strong hero. The animation flows beautifully filled with magical designs. It is a masterpiece filled with dragons, masked gods, phantoms, talking frogs. It is, in a way, a whimsy overload. But in the most wondrous way. The film is a classic for the family, thrilling and a visual feast.